Regulatory examination of mortgage lending, plus a more proactive approach by government agencies to regulate mortgage brokers, mortgage lenders, and the residential mortgage lending industry, requires a dependable source of information for lenders that originate second mortgages and home equity loans. 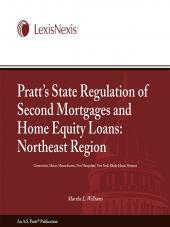 This comprehensive guide, written by Marsha L. Williams, identifies and explains the state laws and regulations for lenders engaging in making and brokering second mortgages and home equity loans in the states of Connecticut, Maine, Massachusetts, New Hampshire, New York, Rhode Island, and Vermont. 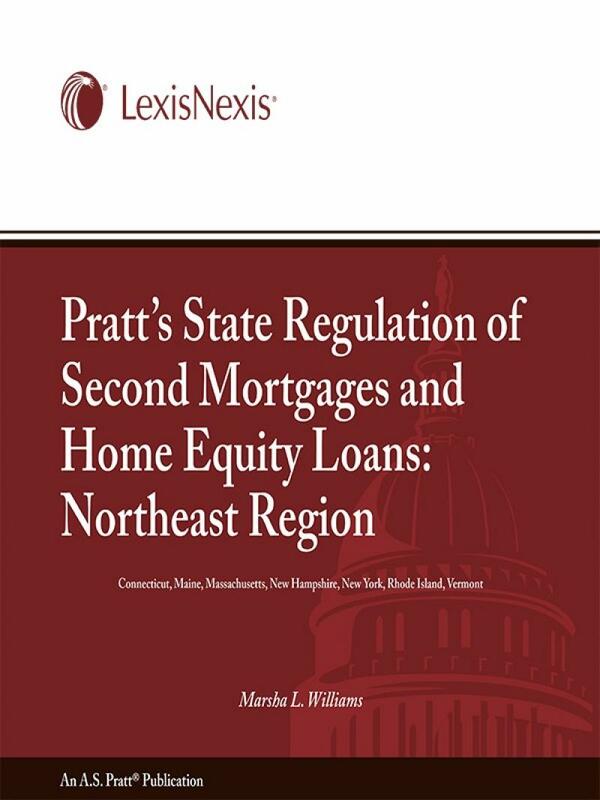 Pratt's State Regulation of Second Mortgages and Home Equity Loans — Northeast Region provides you with the information and guidance you need to comply with laws and regulations in Connecticut, Maine, Massachusetts, New Hampshire, New York, Rhode Island, and Vermont. It identifies and explains the state laws and regulations that affect second mortgage loans and home equity lines of credit. Pratt's State Regulation of Second Mortgages and Home Equity Loans describes the principal laws and regulations applicable to the offering of junior lien loans, on a state-by-state basis, as well as the licensing and registration applicable to loan originators.